PTT Global Chemical Public Company Limited, or PTTGC, is PTT Group’s petrochemical flagship. We are committed to strengthening our leading position in the chemicals business by combining environmentally-friendly innovations with advanced technologies to develop products to improve people’s lives. PTTGC is comprised of diversified and comprehensive petrochemical businesses, including manufacturing and distribution of upstream, intermediate, and downstream petrochemical products. 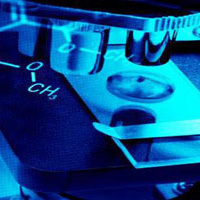 These products can be converted into other chemical products and serve as basic feedstock for downstream industries such as packaging, apparel, communications and electronic equipment, electrical appliances, vehicles, construction materials, engineering-based plastics, agricultural equipment, and much more. These products are not only part of our everyday lives – they also improve the way we live.